5 dead in Maryland newsroom shooting: Who is Jarrod Ramos and why did he kill the editors? The gunman, who many have identified as Jarrod Warren Ramos, is said to have barged into the building of the Capital Gazette and opened fire at the employees, killing five of them. While the authorities acted quickly and evacuated the building, several staffers have sustained serious injuries. In a blood-curdling incident, which is being called the deadliest day for journalism in the US in many years, five employees of the Capital Gazette newspaper were shot dead in Annapolis, Maryland, on Thursday, June 28. 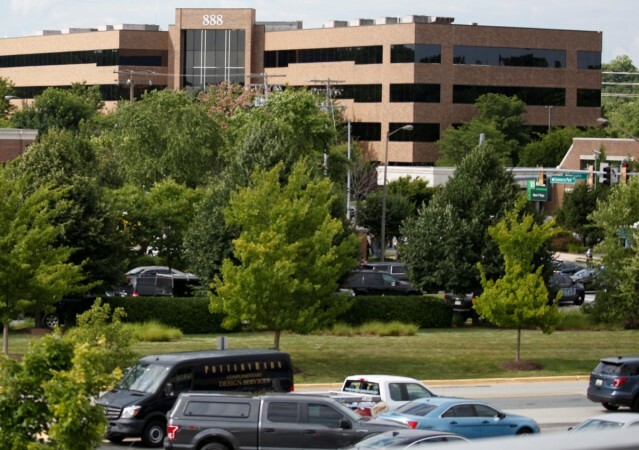 The gunman, who many have identified as Jarrod Warren Ramos, is said to have barged into the building of the Capital Gazette and opened fire at the employees. Speaking of the "terrifying" experience, Phil Davis, a reporter for the daily tweeted that the "gunman shot through the glass door to the office and opened fire on multiple employees." He added: "There is nothing more terrifying than hearing multiple people get shot while you're under your desk and then hear the gunman reload." The Anne Arundel County Police have identified the deceased as John McNamara, staff writer, Gerald Fischman, editorial page editor, Robert Hiaasen, assistant editor, news, Rebecca Smith, sales assistant and Wendi Winters, special publications. The gunman armed with a rifle or a shotgun is now in police custody and authorities believe that he acted alone, reported the Agence France-Presse. However, the police haven't officially named the suspect or released any image. After news of the shooting broke, US President Donald Trump took to Twitter to express his condolences and said: "Prior to departing Wisconsin, I was briefed on the shooting at Capital Gazette in Annapolis, Maryland. My thoughts and prayers are with the victims and their families. Thank you to all of the First Responders who are currently on the scene." Who is Jarrod Warren Ramos? The suspect, who has been identified by the media as Ramos, is said to be about 38 years old and a resident of Laurel, Maryland. The police are yet to reveal details about him and only said that he was a white adult male armed with a rifle or a shotgun. International Business Times India, however, could not independently verify the identity of the shooter. The suspect is currently being interrogated and the police are trying to ascertain the exact reason behind the shooting. The Maryland law enforcement officials are also searching an apartment in Laurel, from where they hope to recover some clues. 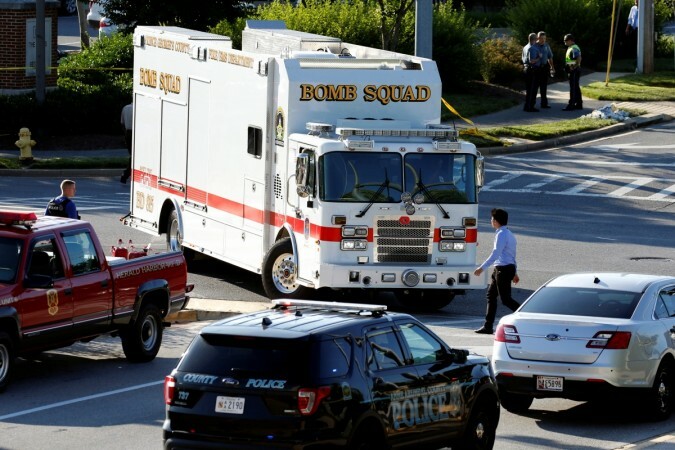 The police also said that there is only one suspect in the Capital Gazette shooting and more details are likely to be given on Friday, June 29, morning. Why did the suspect target editors of Capital Gazette? While the cause of the shooting is yet to be ascertained, it has been reported that the suspect had a long-running feud with the newspapers and had even sued it before. Thomas Hartley, a former columnist for The Capital, which is one of the group's papers, had written a column in 2017, in which he detailed the suspect's social media interactions. In the piece, Hartley is said to have spoken about Ramos and an unnamed woman's conversation on Facebook and how the man had demeaned the woman, used vulgar language and even told her to kill herself, reported Reuters. The man is said to have filed a case and named the Capital-Gazette Communications, Hartley, and the paper's editor-publisher Thomas Marquardt in the lawsuit. He then pled guilty to criminal harassment five days before Hartley's column was published. He reportedly also said that the column was biased and did not bring to fore his side of the story. The suit was then dismissed in 2013 and was dismissal was upheld in 2015. However, the man evidently couldn't get over things and spoke about it on twitter. A user who went by the name Jarrod W Ramos posted tweets slamming the Capital Gazette, Hartley and even the Maryland judges. "Yes, Eric Thomas Hartley, you moved to ... oh just go ahead and kill yourself already before I do (legally in court)," a tweet from 2014 reads. The user then went silent from January 2016 and only appeared active just before the Capital Gazette shooting.